Chole Bhature is also know as chola poori. It is a very popular Punjabi dish which is usually served as breakfast. 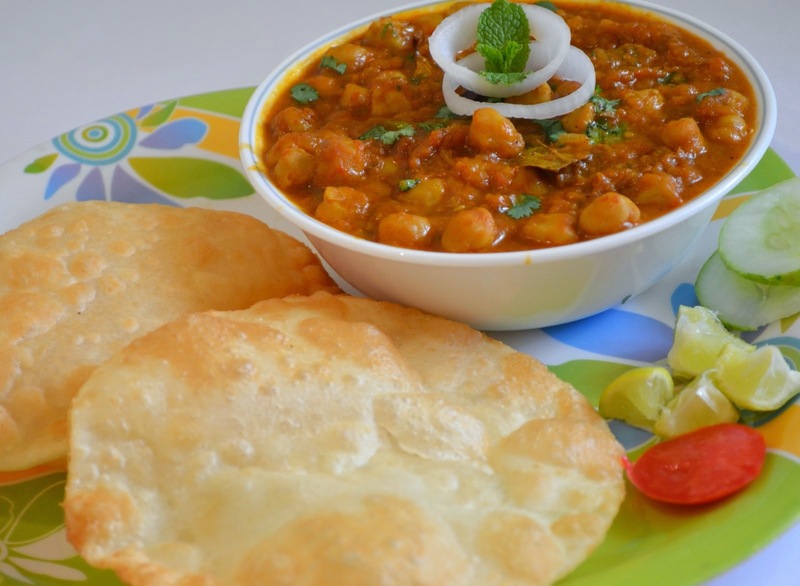 Chole bhature is a combination of chole and fried Indian bread. 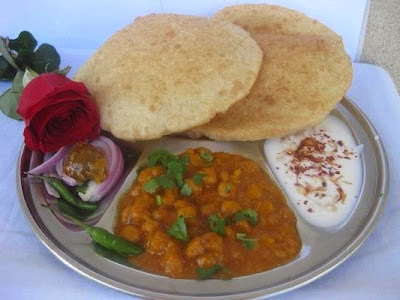 Chole is prepared with chick peas and bhatoora is a fried Indian bread made of all purpose flour/maida. 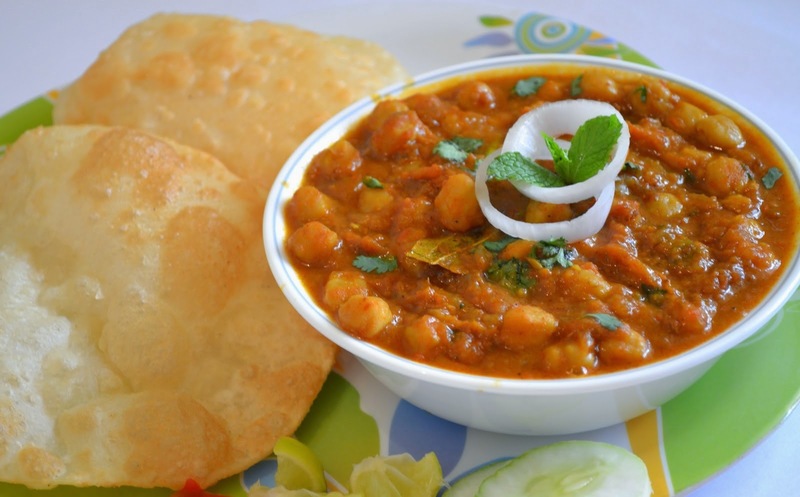 Soak the chickpea/ chole I/3 cups of water either for overnight or for 5-6 hours. Boil or pressure cook the soaked chole with water and salt. Since the chole were soaked for few hours, hence you need to cook them for 4-5 whistles. When the chole are done, keep the aside. 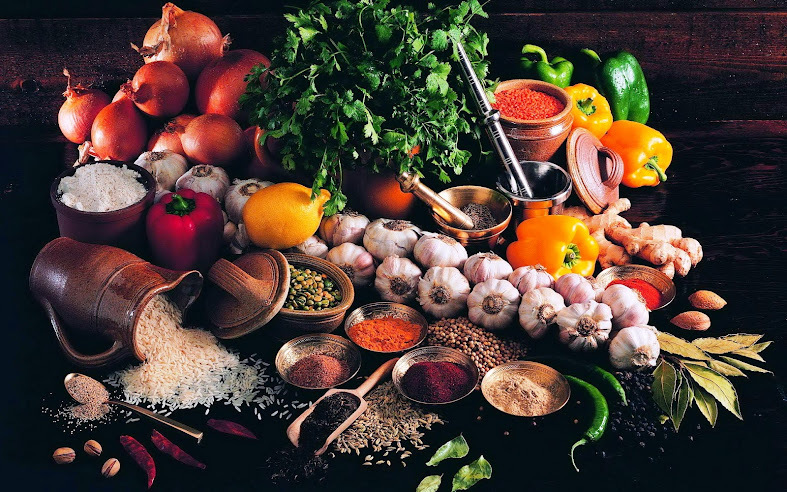 Now slice one medium onion and chop 2 tomatoes, 3 green chillies, 6 cloves of garlic and 1 inch ginger. Put them in a grinder or blender and grind into a smooth paste/ puree. Ther is no need to add water while making the paste because the juice of tomatoes will help in making a fine paste. Heat 1 tsp oil in a pan and add whole garam masala (1/2 tsp cumin seeds, 1 bay leaf, 1 inch cinnamon, 3-4 whole black peppercorns, 2 green cardamoms and 2-3 cloves). Sauté all the spices on low flame for a few seconds till they leave its fragrance. Add about ¼ tsp of asafetida and stir well. Now add prepared ground paste of onion and tomatoes and cook continue till the oil begins to separate and the puree becomes nice and mushy. Add ½ tsp Kashmiri red chilli powder turmeric powder and salt to taste. Stir well for one more minute and then add cooked chole with its water. Here you need to add about ½ cup of water. Cover the pan, simmer the flame and leave to cook for about 10-12 mins, till the gravy thickens. Stir occasionally in between and finally garnish the chole with some fine chopped fresh coriander leaves and serve with hot Bhature.